What does a Shropshire beekeeper, rose breeder, professional golfer and survival instructor have in common ? A total of 24 men and women from all walks of life, who joined the service in 2016 and 2017, attended a Celebration of Success event at Theatre Severn, Shrewsbury, tonight. Another 27 were praised for completing their final development training. They will join more than 300 on call firefighters from 22 county fire stations who respond to 999 calls at a moment’s notice. 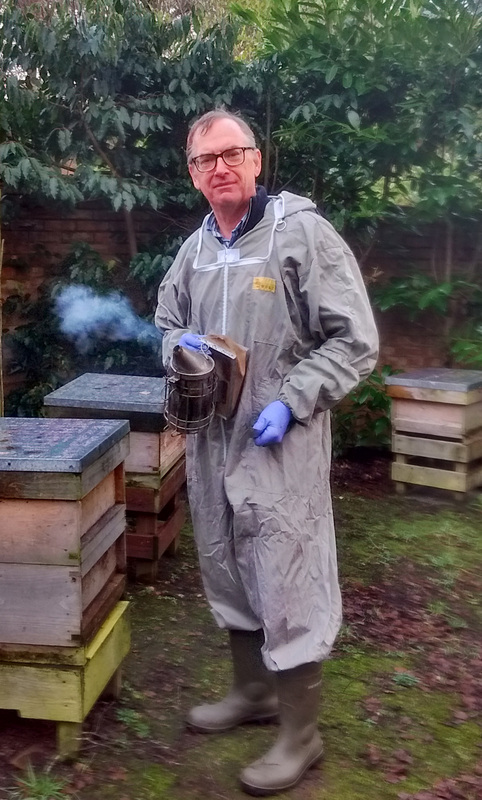 Former City management consultant turned bee keeper Charles Millar (60), from Church Stretton, who runs courses, sells bee colonies and breeds queen bees, said: “I think I may be the oldest firefighter recruit in Shropshire but I’m proud that I passed all the fitness tests. David Leach (23), who plays rugby for Cleobury Mortimer, has just quit his post as a professional golfer, but says he is now enjoying being a firefighter after first attending a taster session. Rose breeder Arunas Balsys (36), who works at David Austin Roses in Albrighton pruning, preparing and pollinating roses, said: “I always wanted to be a firefighter. “I moved to the UK from Lithuania about eight years ago and my colleague is a crew manager at Albrighton. He encouraged me to join,” said Arunas, who is a firefighter at Tweedale fire station in Telford. 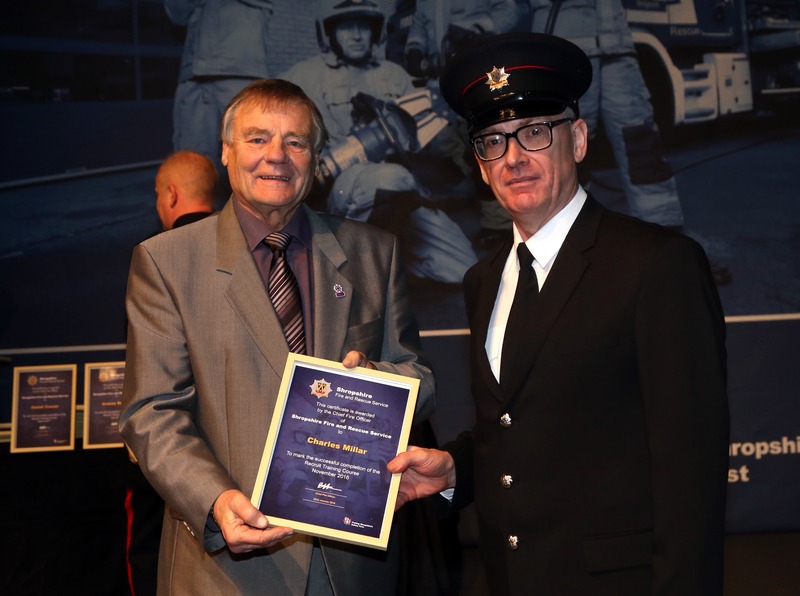 Presenting “passing out” certificates to the new recruits Councillor Eric Carter, chair of Shropshire and Wrekin Fire Authority, said: “Our firefighters are at the forefront of tragic events. These special people will be there to do the job that they do for you, me and everyone. We should be so proud of them." More images from the event will be posted tomorrow.